Griffin, P., Pvt. Co. F, 3rd La. Cav. Appears on Roll of Prisoners of War, Paroled at Gainesville, Ala., May 12, 1865. Res. 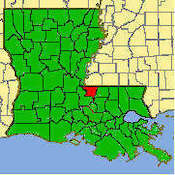 West Feliciana Par., La.